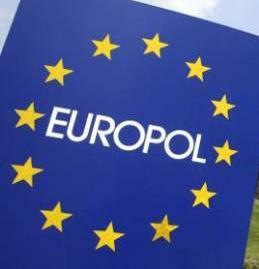 The EU Terrorism Situation and Trend Report began in the wake of September 11th, and gathers terrorism intelligence from all European Union member states and INTERPOL. It is provided to law enforcement internationally as both an overview of past terrorism attacks, and guidance for preventing future violence. Much of the 2011 report is what one would expect. For example, the plot of four men in Düsseldorf, Germany, to carry out an attack more destructive than the 2005 bombing of the London subway and the 2004 bombing of the Madrid train system. Or the seven individuals in Spain who were responsible for a bombing that killed two people and seriously injured four others. And of course, the report includes a section on Al Qaeda. Buried in the report, though, the EUROPOL also warns international police about environmentalists and animal rights activists. And animal rights activists, EUROPOL says, use “authorised protests, as well as illegal methods” such as releasing animals from fur farms. This EUROPOL report makes clear that these misplaced priorities are not confined to a few states, or to a few politicians who have been heavily influenced by their corporate supporters. The corporate-led campaigns to demonize animal rights and environmental activists as “eco-terrorists” have indeed become international in scope. This “Green Scare” has worked its way into the top levels of government, not just in the United States but around the world. Meanwhile, the U.S. group Mercy for Animals just released another investigation that showed calves being bludgeoned with pickaxes on a Texas farm, and local police are investigating. It’s clear that American activists have not been deterred, and their European counterparts will likely not be, either. If there is one take away message from this report, it is that the most dangerous weapon these movements possess is not a gun, anthrax, or a bomb. It’s information.